I need to do better with titles, but how can one come up with good names all the time. More poppies to brighten everyone's day! 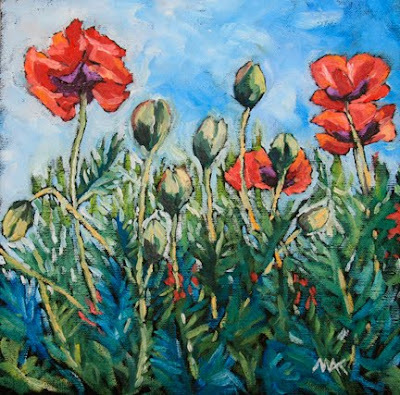 Love the bold color and looseness of the brush strokes in these poppy paintings. Beautiful! I love this and the other one (poppies are my favorite flower) and your names are perfect. Thank you Carole and Catherine.